This book has a lovely flow and sensitivity to the plight of the youngest characters. The images painted of Muskokan life are free of the baggage of today’s playground for the rich and very grounded in small town country life – in all its dreary simplicity. The author did a wonderful sensitive job with the illness of Sera’s mother. It was very touching. Sometimes you find a novel (like The Year of the Rabbit by Flo Lyon which I’ve just finished reading) so satisfying and gripping it makes you laugh and cry. You want to tell the story over and over again. You adopt, lend and share the book with others. Theresa – what a fantastic read! With the exception of the first two chapters (cause I started the book too late on on Saturday night), I read your book in one sitting – Sunday afternoon. 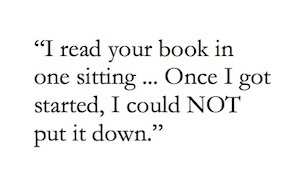 Once I got started, I could NOT put it down – it’s been a while since a book had that effect on me. It’s the type of book I will want to re-read from time to time, like a few others on my shelf. It was a very emotional day getting to know the people in your book! These characters came to life and made me smile, worry, laugh, care, and quite frankly, sob at some points… You brought them all to life so vividly, and kept me turning the pages with all the twists and turns. At times, I was transported to some my own memories of growing up in a small town and all that “that” means. Thank-you so very much for introducing me to the Year of the Rabbit – I will definitely be recommending this to my friends. Last August 2011, I visited the Georgian Bay, Lake Superior area. I had brought with me the novel “The Year of the Rabbit “. What a wonderful treat to be reading this story while visiting the general area where the story is set in the fictitious town of Seguin Sound! Every night, I read more pages of “The Year of the Rabbit ” and reflected on events that can change the course of your life in very little time: disease, abuse (physical and mental), having to leave your home or hometown or losing a dear friend. I could identify with young Sera, a precocious child, who finds her changing situation very bewildering and takes refuge in books. At the end, I was delighted that the secrets regarding Sera’s life were brought forward and that she was offered a new family and a new home after losing her mother. We all need to find our place in the sun. I hope the author will offer another novel in the near future… Maybe “The Year of the Dragon “? Rarely do novels make me feel like crying but I came close to crying twice when reading Year of the Rabbit. I’ve met Sera, as we all have; there’s a little bit of Sera in all of us. I just finished reading The Year of the Rabbit. I thoroughly enjoyed the story and my interest was captivated. The characters were interesting and had realistic stories. I would not hesitate to recommend this book. 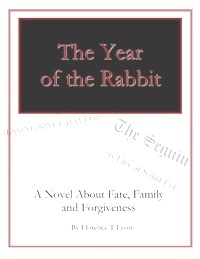 The novel “The Year of the Rabbit” drilled into the heart of my own small town history. The Catholic Church is an important theme in the novel as in my own personal life, so it was only natural to draw parallels. As a result I eagerly devoured the book in two sittings because I wanted to see how the author dealt with the conundrums the Church creates for its adherents. There are no simple solutions, then or now. The novel reads easily, weaving a colourful mosaic from the multitude of young adolescent relationships that one might expect to flourish in a small town locked in the backwater of a major city like Toronto. The tourists come and go but the inhabitants of the town, especially the young people left to their own devices, must become involved in extraordinary events to escape the pull of small town mentality. Read this book (the Year of the Rabbit) a few weeks ago and enjoyed it. It paints the main characters well and in fact you wished at the end to know what happened to some of them next. See this page for more.